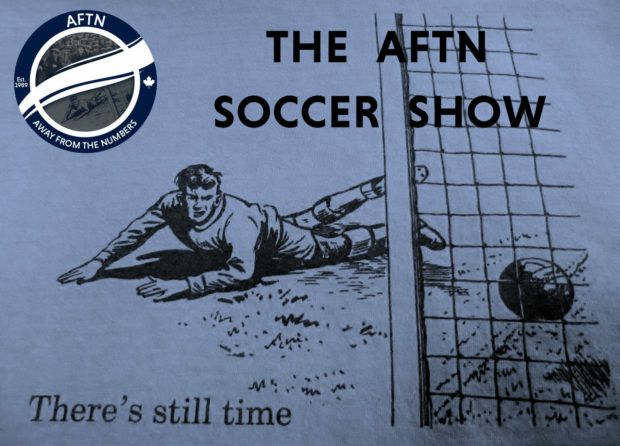 It’s a long weekend, so we have an extra long episode of the AFTN Soccer Show for you as we took over the airwaves at CiTR radio for two and a half hours on Sunday night. Vancouver Whitecaps showed a never say die spirit in Dallas on Saturday afternoon (or should that be Dai with a Welshman in charge? ), fighting back from 2-0 down to score a couple of very late goals to earn the unlikeliest of points. We look back over the dramatic afternoon and chat about the main talking points coming out of it. Plus we hear from both head coaches, Dallas’ Oscar Pareja and Vancouver’s Carl Robinson. We’ve got two feature interviews for you this episode. First up is Whitecaps’ Canadian defender Marcel de Jong, as he joins us to chat about the stability of signing a new contract extension. Then former Whitecap Kekuta Manneh joins us to chat about his move to Mexico, Columbus Crew falling short in their quest for last year’s MLS Cup, and what it means to his hometown of Austin to possibly be getting a new MLS team. We also take a look at the latest news surrounding the Canadian Premier League, in what’s been a big week for them. Plus how the weekend played out for the MLS western teams, Whitecaps midfielder Jordon Mutch talks television, and The Others make their debut in our Wavelength section.